Hello, I’m Sally Bob’s 4 legged friend. I always see my mummy (Charlotte) working on her blog so I thought it was time I had a go. I am very interesting and I know everyone would love to read my stuff! 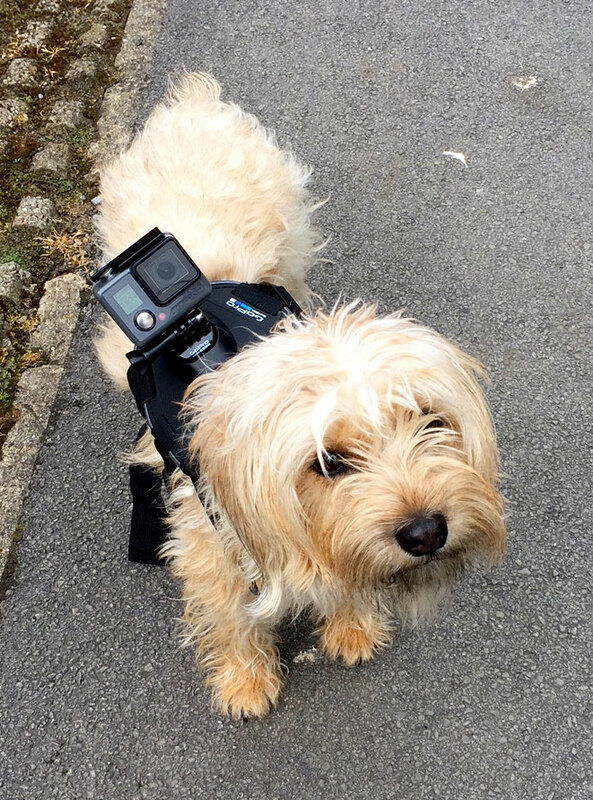 Charlotte was sent a Go Pro Hero camera and a special harness for me to capture my day as part of the Petplan Pet Takeover campaign. At first I was a bit unsure as I am a bit of a wuss and anything new scares me. After a short while though I didn’t mind wearing it and I was glad of the opportunity to show everyone how interesting my day is. I had to ask Charlotte to help me to edit the video as I seemed to spend a lot of the day asleep. I am sure this is not normal! I have heard it said that I am quite a lazy dog but I really don’t think that this is true. Yes, I like my bed but who doesn’t! The video captures an ordinary day. It has been a bit crazy around here as it has been Bob’s birthday and I have been surrounded by balloons and wrapping paper. We didn’t go anywhere very exciting on this day but I quite like that I am showing you a ‘normal’ day. I am expecting a call from Big Brother any day now. Disclaimer: We were sent the camera and harness free of charge for the purpose of theis post but all opinions are Sally’s.